Surgeon General C. Everett Koop today endorsed the Heimlich manuever, not as the preferred, but as the only method that should be used for the treatment of choking from foreign body airway obstruction. Dr. Koop also urged the American Red Cross and the American Heart Association to teach only the Heimlich Manuever in their first aid classes. Dr. Koop urged both organizations to withdraw from circulation manuals, posters and other materials that recommend treating choking victims with back slaps and blows to the chest. ..."The best rescue technique in any choking situation," Dr. Koop said, "is the Heimlich Manuever." After about 20 years of teaching only the Heimlich maneuver for choking children and adults, the American Red Cross and the American Heart Association now recommended back slaps and chest thrusts as effective treatments. 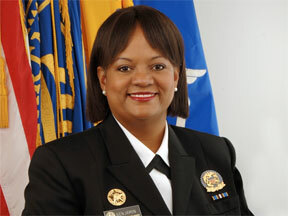 So does the Surgeon General's office continue to stand by Dr. Koop's statment? Since February, that's what I've been trying to find out. Click here to view a string of inquiries I've sent to a string of employees in the office of Surgeon General Regina Benjamin. I never received a reply so last month I wrote to Dr. Benjamin. No reply from her either, so last week I asked my congressman, Rob Woodall (GA-7th District), to assist.